Friends, colleagues and comrades came from all over the state to see off the five who will take with them over 210 years of combined experience. 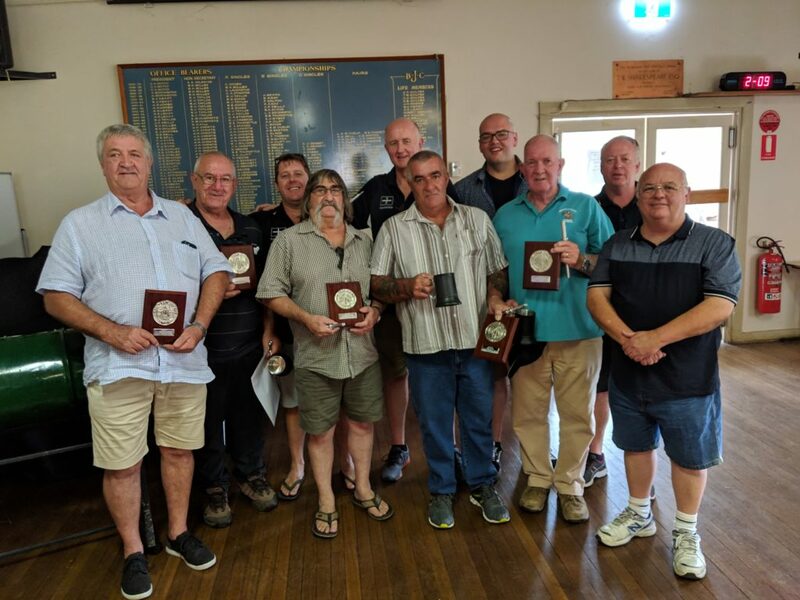 Locomotive Division representatives made the trek from Sydney to present the retirees with plaques commemorating their membership, also taking the opportunity to raise a glass in honour of their service. “It’s great to see RTBU Locomotive members come together like this… Young members and old stalwarts bonding over a shared pride in what they do. Days like these are even more special in a town with a proud railway heritage like Junee”. “It was great to see the young and old members unite as one and celebrate the retirement of 5 Junee drivers. Two drivers Bevan Hackett and Ronald Gustowski started and finished their careers in Junee while Mark Beeche started in Narrandera. Geoff Crossman and Marc Canino both started in Sydney but made the move to Junee where they found a great Railway Depot. It is sad to see the finish of another father and son duo in Bevan Hackett and Clinton Hackett but they worked the last train together. I would like to thank Bob Hayden, Farren Campbell, Andrew Holt and Keith McMahon for making the trek down the highway to thank the retirees for their support over the years and present them with their plaques. The good thing about these retirement functions is listening to the old drivers talk about the things they got up to on the job back then, things that would get you sacked or in gaol today. The Loco Division would like congratulate the Junee Depot for putting on such a great day and wish the retirees all the best in their future endeavours.